Jumaane Dyson services as the Vice President of Finance, overseeing the company financial and accounting functions. Bringing nearly 20+ years of government contracting expertise, Jumaane has been instrumental in establishing ARDX’s finance department from the ground up. Bringing a wealth of government financial management know-how to ARDX and our clients Jumaane directs ARDX’s successful multi-million-dollar operation, as well as all contracting and budget needs for our projects by establishing strategic financial direction, streamlining financial and procedural policies, and developing intuitive monitoring and accountability systems – ensuring ARDX’s financial and contract success. 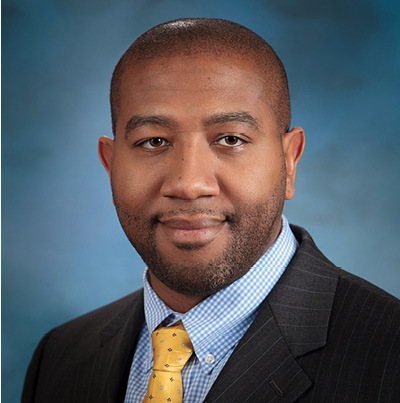 Prior to joining ARDX, Jumaane worked at various government contracting agencies, including overseeing the auditing for Federal Acquisition Regulation (FAR) for the Government Accountability Office (GAO). Jumaane holds a bachelor’s degree in Accounting from Old Dominion University and a master’s in Business Administration with a concentration in Accounting from St. Leo’s University.